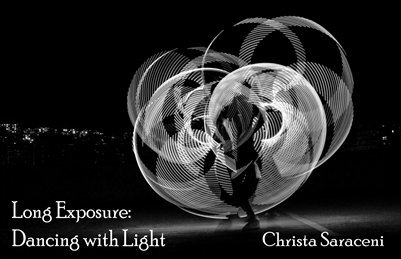 Explores the patterns created from a hoop dance with an LED hula hoop that can change colors every 10 seconds or so. Experimenting with long exposure lead to an array of different patterns and colors, some even looking as though they are computer generated (but they're not!) Makes a great coffee table book, wire binding means you won't ruin the pages having it open and you can put the pages behind each other to save space?